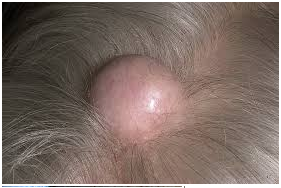 People often describe localized swollen areas on, or under, the skin as lumps or bumps. While bumps on, or under, the skin may result from conditions that give rise to a skin rash, many other conditions can result in solitary raised lumps on the skin. Infections, tumors, and the body’s response to trauma or injury can all lead to lumps or bumps that appear to be located on or underneath the skin. From moles to warts, acne to milia, skin tags to cysts; lumps and bumps on the skin can appear in all sorts of shapes, sizes, colours and numbers. 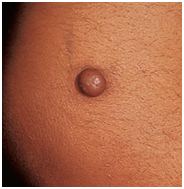 Depending upon the cause, skin lumps or bumps may vary in size and be firm or soft to the touch. 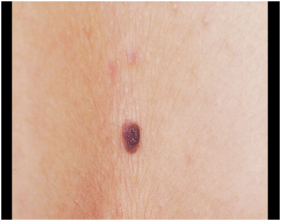 The overlying skin may be reddened or ulcerated. Skin bumps may or may not be painful or tender, depending upon the cause of the lesion. 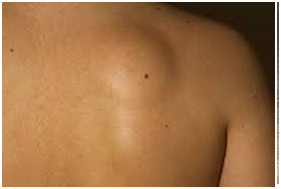 It is very essential that any lump or bump is correctly diagnosed by a medical doctor. We offer Free First Consultation with one of our Surgeons they will also be able to advise you the best treatment for your condition. All our proicedures performed by our experienced Surgeons in our minor surgery accrediated CQC registered medical centre . Surgical Excision: This procedure performed under local anaesthesia typically used to remove moles, cysts ,lipoma and even warts or skin tags, this method involves using a sharp scalpel to cut out the skin growth. Stitches are usually required after this procedure. Hyfrecation/ ElectroSurgery: A hyfrecator is commonly used in surgical procedures , which delivers low energy electrical pulses to cauterize (burn) tissue. There may be some redness following this treatment type, but this will subside after a day or two and results are usually immediate. 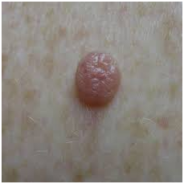 Laser Removal: Removal of a skin growth / wart/verrucae can also be done using laser. The high precision laser beam targets the cells of the skin growth, breaking them down using thermal energy. Cryotherapy: This method involves liquid nitrogen being used to essentially freeze off the skin growth by constricting the blood supply to it due to the cold temperature. It may take some time for the growth to disappear after this treatment, and in some cases the lump or bump may need multiple sessions.